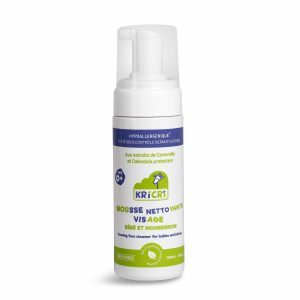 Kricri, la douceur naturelle 100% française. 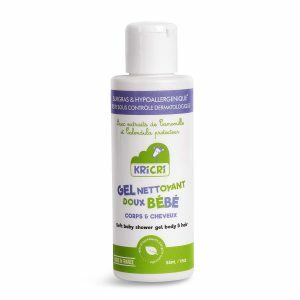 Strongly family-oriented, Kricri features a whole range of dermo-cosmetics skincare products. With a specific focus on highly sensitive skins, newborns and babies, the Kricri products are a great choice for your whole family. 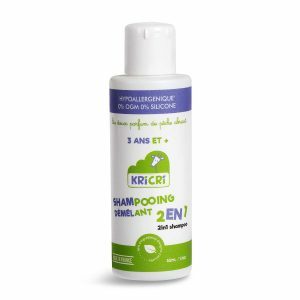 Designed with natural ingredients well known for their recognized properties, such as Calendula, camomile, shea butter or aloe vera, all the Kricri products bring softness and comfort to the youngest ones as well as to their parents. Hypoallergenic, our whole line of products takes extra care of the most sensitive skins, making sure they remain protected, moisturized and boasting a cool and fresh texture. Your whole family will enjoy it! Respecting our kids’ skins is our daily commitment! Protecting the skin, preserving its balance and providing babies as well as parents a unique wellbeing is Kricri’s mantra. To do so, we’ve partnered with a cornerstone French manufacturer that has over 60 years of experience in the elaboration of natural-based cosmetics. We believe these strict guidelines are the only way to put together a thorough selection of products as well as a bulletproof control list during the manufacturing process while respecting the environment at the same time. When choosing Kricri, you do everything you can to put a smile on your child’s face!